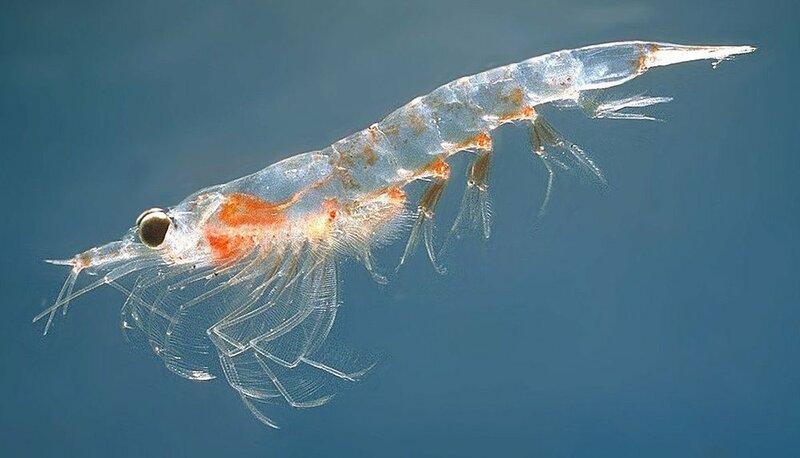 American Cetacean Society - San Francisco Bay Chapter — Dr. Baldo B. Marinovic: "Krill: More Than Just Food For Whales"
Krill are found throughout the world’s oceans and are particular abundant in cool productive waters such as those found in polar seas. Everyone knows that whales eat krill (actually not all do), but did you know that krill play a pivotal role in the oceanic ecosystem. Here in California, baleen whales show up during the spring and summer months to gorge on seasonally dense krill aggregations but there is so much more to this story. For instance krill are the main prey for seven of the most valuable commercially fished species (including salmon and squid). This presentation will explore the natural history of krill within the Central California Coastal ecosystem in an attempt to highlight their importance with respect to the overall health of this ecosystem. Dr. Baldo Marinovic, a research biologist at Institute of Marine Sciences, University of California, Santa Cruz studies zooplankton ecology and the dynamics of ocean food webs. MS Marine sciences UCSC, PhD Zoology University Western Australia. Since 1997, he has been conducting surveys in Monterey Bay to understand what determines the distribution, abundance, and species composition of krill, tiny shrimp-like invertebrates that are a crucial link in the Bay’s food web. Krill are zooplankton invertebrates that travel in huge swarms in the oceans all over the world. These swarms sometimes reaching densities they can turn the surface of the ocean pinkish-red. Krill are an important food source for many species of fish and seabirds, as well as for the Bay’s largest visitors, the majestic blue, fin, and humpback whales. Marinovic’s research has led to a better understanding of what makes Monterey Bay such a productive and biologically rich ecosystem.